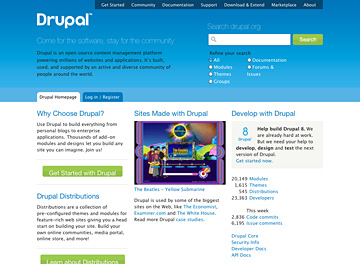 The Drupal.org redesign was a large community initiative, years in the planning. I had the honor and privilege to serve as an infrastructure administrator on the project. Responsibilities included: deployment/configuration of staging sites and the main site, access control, authorization, maintenance, and performance of all the services for the redesign development and staging infrastructure, as well as creating new tools/processes for redesign developers to collaborate with.